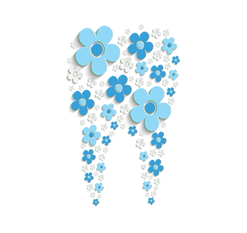 Enjoy the advantages of a multi-specialty dental practice. Most general dentists patients visit today have to refer patients to other specialists for treatments and solutions such as oral surgeries, periodontics care and orthodontics. At our facility, we employ a team of dental practitioners that includes a variety of specialty areas, so you do not need to be referred out.This means you and your family can receive all of the dental care needed at one location, by specialists in their field. This reduces your treatment time and increases your opportunities to get individualized care. At our advanced dental center, we offer a comprehensive menu of cosmetic solutions to address your dental issues. Cosmetic dentistry solutions including veneers, dental crowns, teeth whitening and Snap-On-Smile®. Healthy smiles start even before the first tooth. Dental implants are used for both functional and cosmetic reasons. The laser has become the gold standard for advanced providers, like those at our cutting-edge center. At our dental center, we not only diagnosis patients with TMJ, but also develop individualized plans to reduce the daily discomfort. One of the biggest fears among most wisdom tooth removal patients is that the process will hurt. Fractured, cracked and split teeth, along with tooth decay are common reasons root canal therapy may be recommended. Get started by scheduling online today.